I just re-discovered one of my favorite songs ever (and it happens to be playing in my playlist right now). 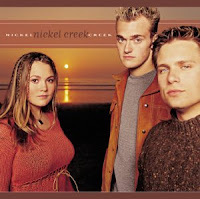 The song is entitled "When You Come Back Down" and it's by the great Christian group Nickel Creek. I found this song rather accidentally in Spring 2006 while mixing songs for the current gradating class of my high school's Senior Slide Show. It tells of a person being the foundation, the rock, the friend who will always be there, no matter the distance, no matter the change, no matter the time, and is one of the most powerful songs I've ever heard. Not only does it have a beautiful sound, but an equally as beautiful message that really touches me. I like to think that, at some point in our lives, each of us are either that person flying high, thinking back to the one that is holding the line and waiting for us, or the one seeing our friend off to their journeys and successes, yet keeping their memory and love close to our heart. Why not select the song on the right and read through the lyrics at the same time? Enjoy. "When You Come Back Down"
"Say what you need to say"
22... don't you just LOVE the alliteration?